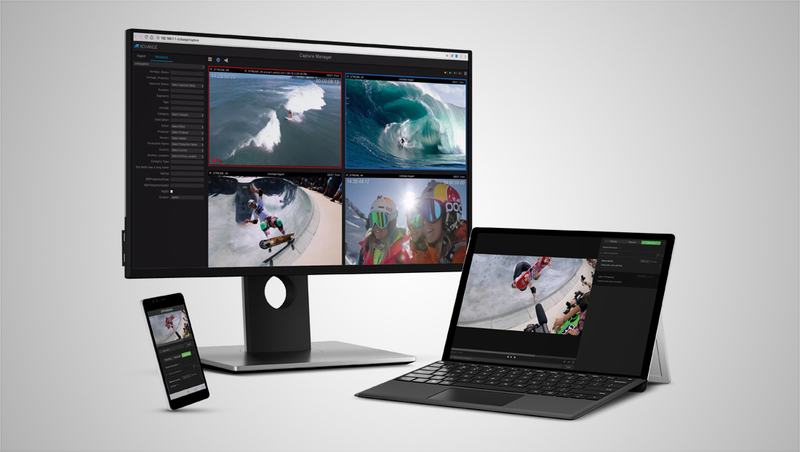 Dynamic media management company Primestream will showcase new technology enhancements that advance today’s media landscape at NAB Show that will address the challenges new formats, storage and delivery methods for capturing and managing media have brought. Today, IP streaming comes from a variety of sources: the web, cameras and traditional broadcast. To accommodate the need to capture, edit and transcode any IP source in SD, HD, 4K, VR and 360, Primestream has significantly updated its core technologies to ingest IP sources into single or multiple self-contained file formats and transcode into ProRes, XDCam, DNxHD, AVC-Intra and H.264 — then quickly move that content through to production, management and delivery. Users can preview proxies and live recording within a web browser, manage signal-paths using pre-configured presets, create on-the-fly proxies and begin editing with growing streams in Adobe Premiere Pro. The update enables customers to capture HLS, MPEG DASH, RTP and RTSP and RTMP streams, while also allowing the capture of SMPTE 2022 IP streams such as HD-SDI and 3G-SDI using standard off-the-shelf hardware by AJA. This new internet SaaS-based review and approval system can be integrated with existing Xchange systems, or can include a small on-site version of Xchange. The solution provides for on-site control and management with integrated communication to the cloud. The review and approval process is browser based with annotations delivered seamlessly to the Xchange platform. Multiple workflows are supported, with comprehensive user-defined security modes to protect sensitive content such as watermarking and expiration dates. Primestream’s 4K and UHD end-to-end workflow covers all operations from ingest to playout. As adoption of this format increases, users can easily build on their specific 4K and UHD workflow needs. The update also includes support for HDR pass-through, live preview, and proxy generation. A new centralized configuration module is now available across the Primestream product line with a common UI experience. This includes on-boarding, provisioning and wizard assisted installation of major parts of workflow for FORK and Xchange platforms. A built-in help system is available that explains each available option. The guided system provides more consistently optimized solutions for customer problems. Primestream will release comprehensive Xchange Public APIs with signatures and client access keys allowing customers to extend our solutions with third party integration. For example, customers can now extend interoperable master format workflow in conjunction with third-party applications. A number of API methods will be available to deliver the feature-set needed by Primestream Xchange users including media registration, metadata searches, project creation, annotations and more.